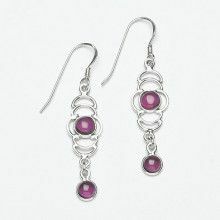 This beautiful pair of earrings features three garnet stones measuring Approximately 5/16" each. 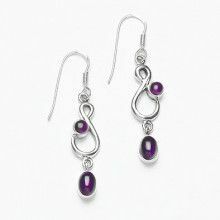 The purple garnet is perfectly complimented by shimmering genuine .925 sterling silver. The earrings as a whole measure Approximately 2" in length.